NEW ROUTE: replaced Route 126 between Beckenham and Bromley - 161 between Bromley and Chislehurst and 161A between Chislehurst and Petts Wood. 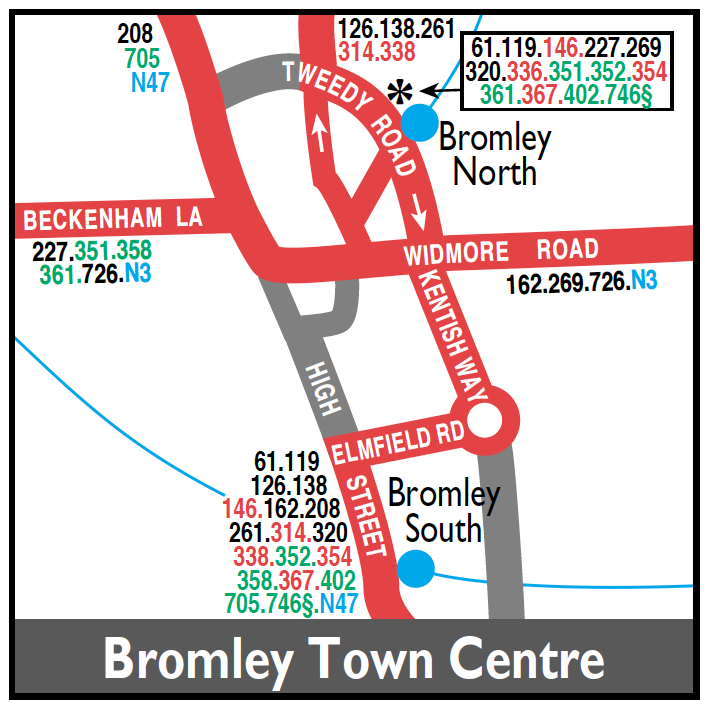 Rerouted southbound in Bromley after Bromley North Station via Tweedy Road and Kentish Way instead of East Street and Widmore Road. Extended from Chislehurst to Eltham Station via Belmont Lane - Imperial Way - Molescroft - Domonic Drive - Edgebury - Green Lane - Southwood Road - Avery Hill Road - Bexley Road - Eltham High Street. 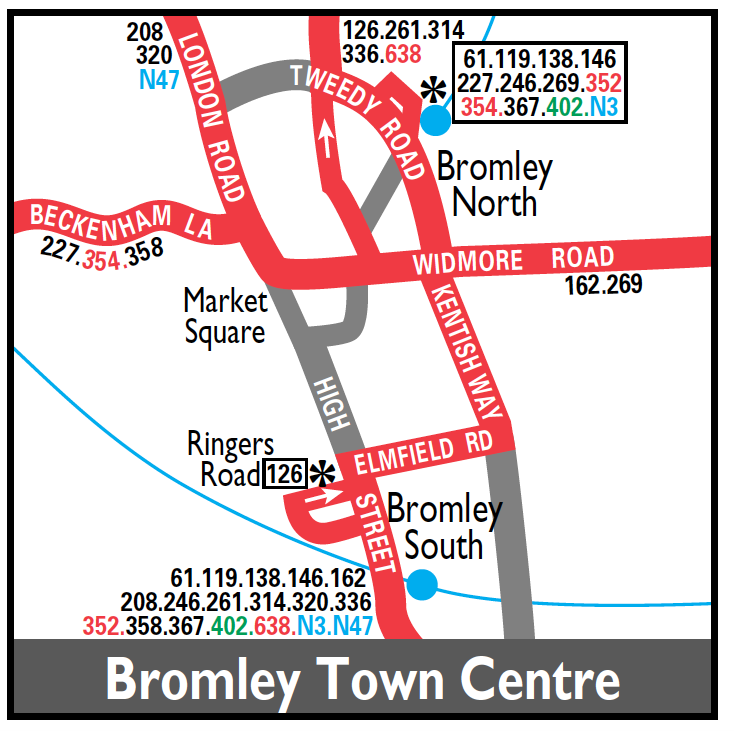 To operate direct in both directions Bromley Town Centre from Kentish Way to Widmore Road instead of loop working.